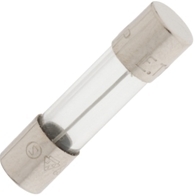 The basic purpose of the fuse is to protect and is composed of an alloy which has a low melting point. A strip of this fuse is placed in series with the circuit. The working principle is that if the current is in excess then the strip would melt and break the circuit. There are different variants of fuse boxes available with different types of circuit breaking. For instance, in the case of slow blow fuses, a small overload is carried for some period without the circuit been broken. Other fuse boxes are designed to break the circuit rapidly. The selection is based upon the kind of device and also the fluctuation level of the current.